Exuding style and beauty, the Ionic Essence 1 door quadrant enclosure is truly unique in its appearance. 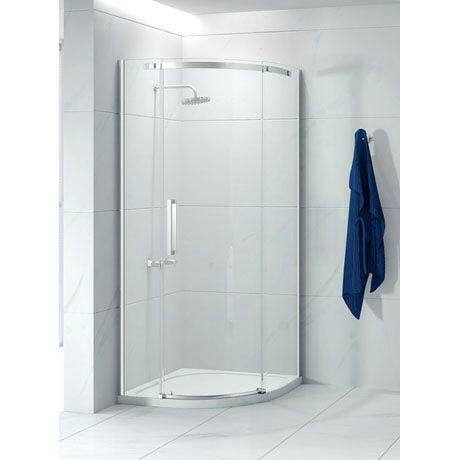 The enclosure stands at 2000mm high and is made from 8mm toughened safety glass. The door slides in a silky smooth motion on the extra strong gliding concealed rollers while the discreet deflector seal increases water retention. The glass is treated with Mershield Stayclear, a special protective coating to ensure the glass maintains its sparkle and keeps it easy to clean. Available in a Left Hand or Right Hand door.